Hey kids, there are quite a few space games in crowdfunding mode that I’ve been made aware of, so I wanted to give a quick rundown of ’em all. I’ve mentioned some of these before, but if I missed one, please don’t hesitate to let me know. Here goes! Ascent: The Space Game – Y’all might remember we had the creator of the game on our podcast back in March, and since then I’ve toyed with the game and am enjoying it a lot. Now they wanna make it look even better, so go check it out! Reassembly – You might recall we just had these guys on the podcast! Well good news, they’ve been funded!!! Congrats to them! Battleship Commander – The developer of this game emailed me to let me know it exists, and their IndieGoGo campaign could use some love, so check ’em out. 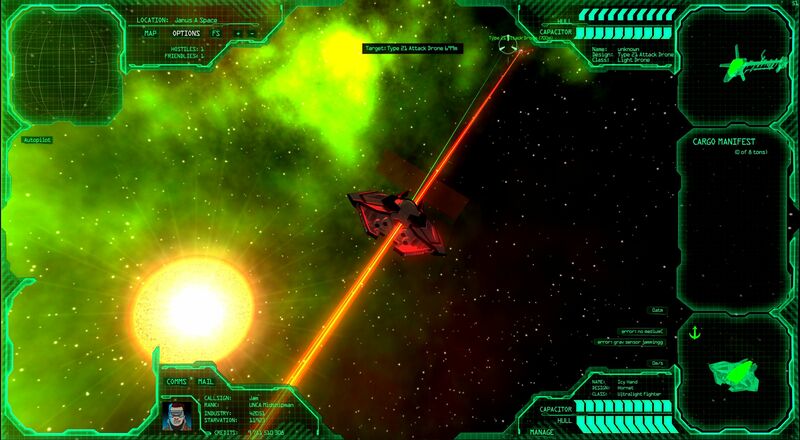 Chosen Space: Relaunched – This apparently is a revamp of an old browser-based spacey MMO, which looks pretty cool. They also just apparently passed their modest funding goal, so congrats to them! NCG-19: Gravitus – This is a spacey 4X MMO thingy that I only just discovered, but it looks pretty nifty. More of M.O.R.E. – This campaign is chugging along and is almost at half their funding goal! Awesome! Check it out if you haven’t already! Empyrion – Thanks to reader gchatman10 for pointing this one out. :) They aren’t in a Kickstarter yet, but according to their site they will be soon! That’s what I could find for now folks. Again, if you know of a campaign I didn’t mention, please let me know about it. Thanks for reading! M.O.R.E. makes me worry just a little bit only because I fear they’ll keep expanding the project past the budget again. Does look good so far though. Check out Empyrion. Its a spacey buildy combaty game. Looks like it will have space and ground combat, plus multiplayer. Welcome to the comments gchatman10! I have to admit, at first I was confused, I couldn’t find them on Kickstarter or IndieGoGo! Then I saw on their site that they’re planning one soon! Excellent.